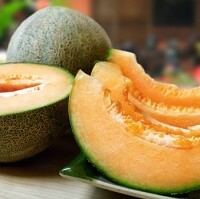 Cantaloupe melons from a farm in Indiana may be one factor behind a salmonella outbreak that has hit numerous states across America, US health regulators said. The US Food and Drug Administration (FDA) pinpointed Chamberlain Farms in Indiana as one of the potential sources of the salmonella outbreak, which began in early July and has since resulted in 64 people being taken to hospital. The farm in Owensville, southwest Indiana, took the decision to recall all its melons, which were also shipped to states including Illinois, Kentucky, Missouri, Ohio, Tennessee and Wisconsin. Those with pre-existing health conditions travelling Stateside should make sure they have medical travel insurance to protect against the infection, which has so far been detected in 21 US states. The bacterial illness causes diarrhoea, fevers and abdominal pain, but it can be fatal for the young, elderly, and those with vulnerable or impaired immune systems. Health specialists are now working hard to discover what else may have contributed to the salmonella outbreak, with watermelons cited by the FDA as a possible source.